Cream and toffee on a Metro tap for the first time in Australia. That’s what you’ll get – two healthy dashes of decadence from aroma to palate in Traitor’s Gate, a classic ruby red ale out of London’s historic Fuller’s brewery. This is the beer that can snap you out of the winter doldrums; its sweet, creamy aroma instantly engaging, a wide toffee middle of malt … and its neat, bitter grip at the finish well, just more-ish. 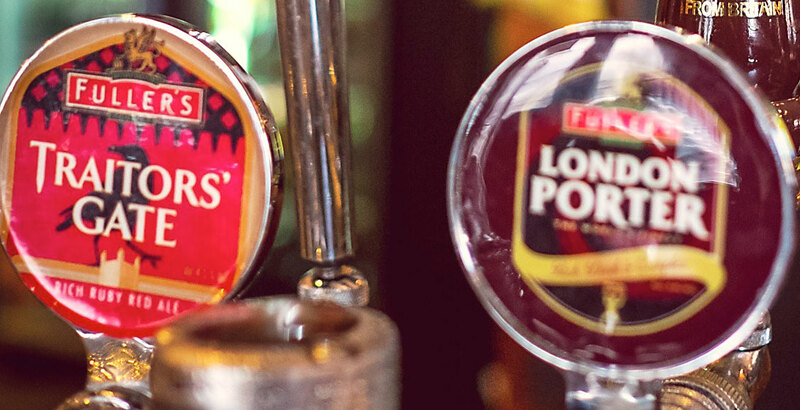 You’ll spot the imposing Fullers tap handle as you come in the door. Named after the entrance to the Tower of London, one of England’s darkest landmarks, this beer sends a strong message. Fuller’s doesn’t muck about. Celebrating 170 years, the brewery is under the watch of Director of Brewing John Keeling, who has walked the floor at the Griffin brewery for more than 30 of those years. Fuller’s makes about 60 beers currently. We don’t get all of them in Australia but we’re lucky enough to have the national distributor right here in Adelaide. And you can taste the level of care in the import and storage of these kegs. Traitor’s Gate is one of the seasonal beers from Fuller’s which is renowned for its attenuation of brilliant malt characters, often with hints of residual sweetness in its beers. Keeling’s advice when he took the helm at Fuller’s: “You want to make some interesting beers? You’d better employ some characters”. He hasn’t looked back. Have Damo, Matt, Tom or one of the Metro staff, pull a pint of Traitor’s Gate and see what you reckon. Chances are you’ll be back for another.